Beautifully updated 4-BDRM, 3-BATH home w/2,262 SF. Dine-in kitchen area, formal dining rm, family rm, living room, island kitchen w/granite counters and room for seating. Kitchen cabinets (lowers) have pull-out shelves. LOTS of storage, dbl oven, appliances are included. All bdrms, dining room, and large family room have ceiling fans w/remotes. Master Bdrm and bathroom have been completely updated w/tile flrs, toilet, walk-in closet, dbl sink, and custom shower. Separate laundry room w/area for add'l storage accessed through kitchen hallway bathroom. 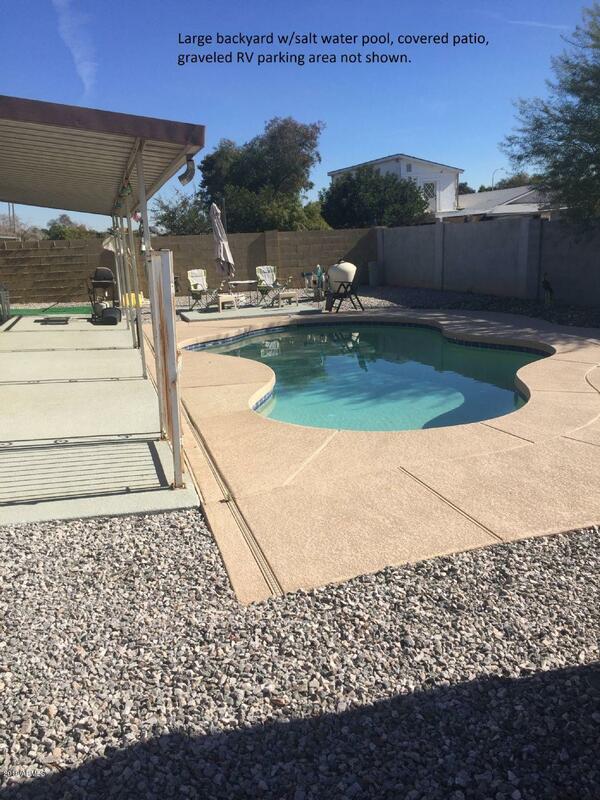 The back yard w/large covered patio, salt water pool, access to storage room, RV gate and parking area. Large, low maintenance corner lot. New roof as of March 2019 w/transferable warranty. PRICED BELOW MARKET, MUST SEE TO APPRECIATE!